At this time of year, we're in the hunt for versatile wines to serve at holiday parties. --- And, although Rosé wines might not be an obvious choice when it's snowing outside, Rosé and blush wines can be real crowd-pleasers at festive occasions. One of my favorites is Sofia Rosé Monterey County 2012 ($16). It's produced by Coppola Winery and named for Francis Ford's Coppola's daughter. The stylish, shapely bottle makes Sofia Rosé an attractive holiday gift or wine to bring with you to a party. And, its light, refreshing style makes it a slam-dunk as an aperitif or served with hors d'oeuvres and lighter fare. Coppola harvests its Rosé grapes at a relatively low brix level, which helps to create a light, versatile wine. Before being separated from their skins, the grapes are cold-soaked for two days, after which the skins are removed from the juice. Cool-temperature fermentation assures the crisp acidity that makes Sofia Rosé a food-friendly, quaffable wine. Pomegranate, spice and strawberries on the palate accompany fruity cherry and strawberry aromas in this vivid, pomegranate-colored Rosé. 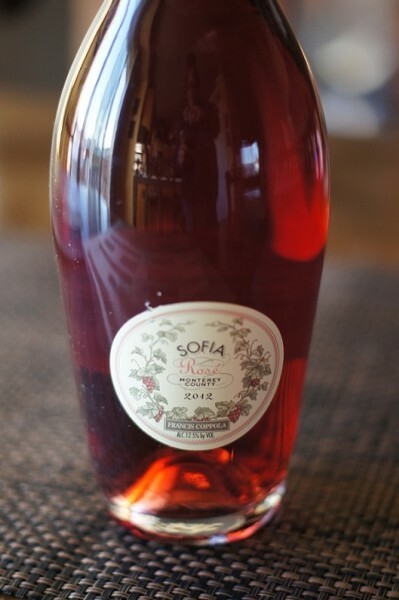 Hunt down some Sofia Rosé for the holidays; I think you'll like it.